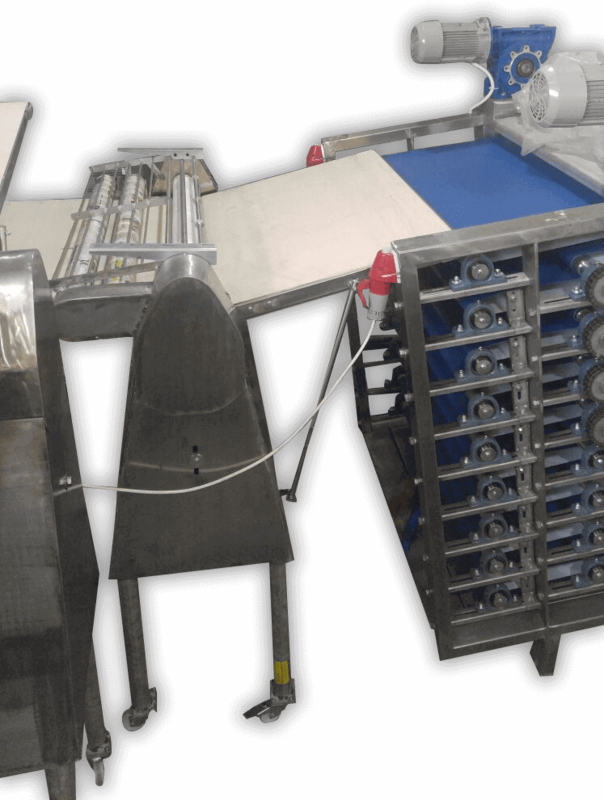 A set of two dedicated machines for flattening dough. Each machine has two arms adjusted for pita breads size and thickness. 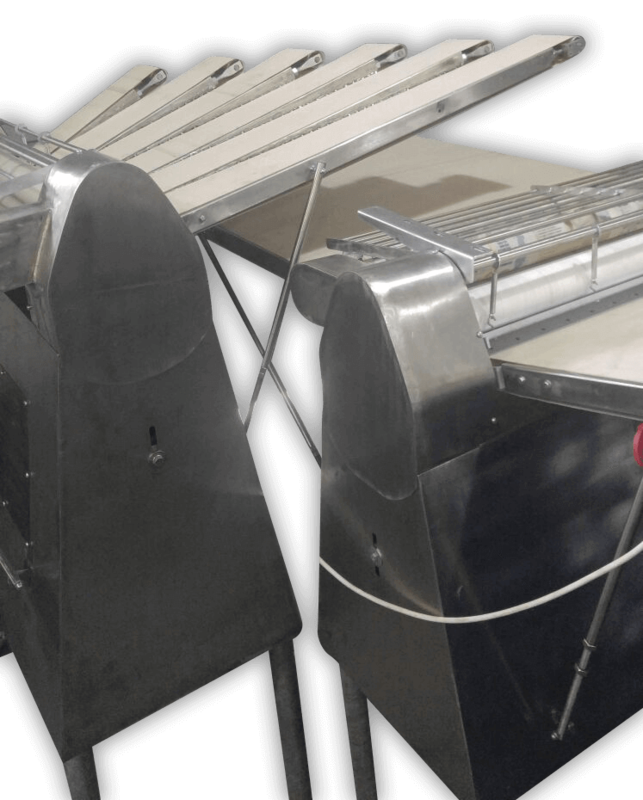 The Machines are able to flatten the dough evenly and can also handle extremely soft doughs. Bakery flatting machines aka as dough sheeter.